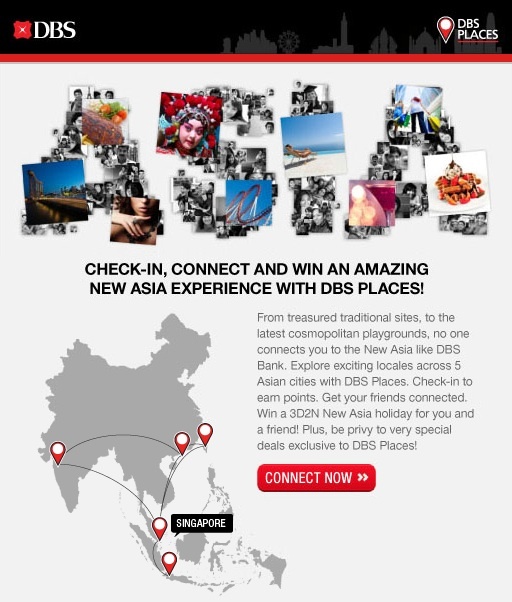 Last chance to win with DBS Places! Have you heard of DBS Places? It's a special campaign like Facebook Places, where you can check in to DBS related merchants, earn points and redeem deals. The person with the most points wins a 3D2N holiday of their choice. It's the final five days before this campaign ends on 5 Sept 2011! Not many people know about this yet, so that means higher chances of winning! So put your iPhone, Android phone or Blackberry to browse this and check in to DBS Places like Wangz Hotel, Klapsons, Bobby's, Spinelli, Sour Sally, and El Toro. I have S$100 in Spinelli vouchers to give out on my Facebook page. First five people to comment there and say which place they'll likely check in to, wins S$20 each. Gastro Couture - Online Reservations and Deals! Win a Trip to Fiji with FIJI Water!